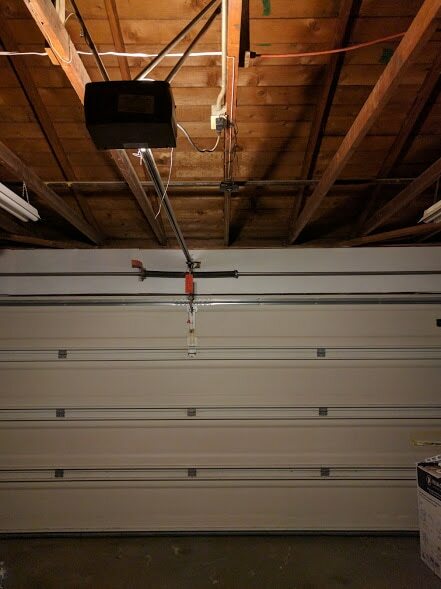 Easily install a smartphone garage door opener and have peace of mind knowing you can open your garage door from your smartphone for a babysitter, family member, dog walker, repairman etc. when you are away from home or stuck at work. Or if you have forgotten your house keys. Yes, I’ve done that a few times! The garage door opener is something we easily take for granted … until we forget where we put the remote while cleaning the car, we loan our remote to a family member who doesn’t return it, or we leave the house and don’t remember if we actually closed the door behind us. Now the MyQ Garage will let us know. Isn’t technology a wonderful thing? Now that I have the My Q, I can admit that my prior method was to leave the garage remote in the mailbox so our faithful dog walker could take care of this important family member. I’ve been anxious many times about the remote being lost or stolen. Once the mail carrier accidentally knocked it out and it landed in the bushes below. It wasn’t a very safe way to provide access to our home. 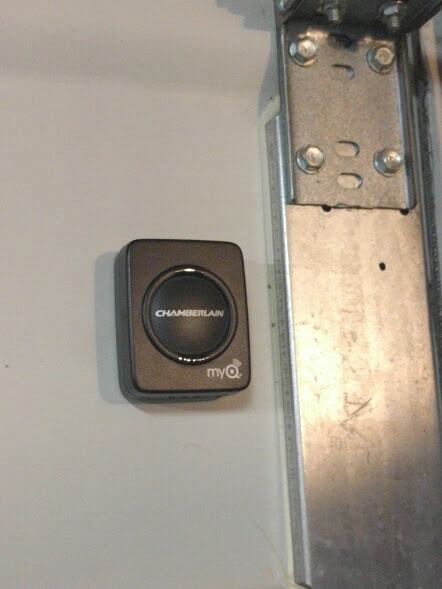 MyQ Garage is an add-on that easily connects to any garage door opener (built after 1993). It works through your home’s wi-fi network and communicates with you through a free app downloadable to your smartphone or tablet. You will need to have wi-fi signal in your garage. 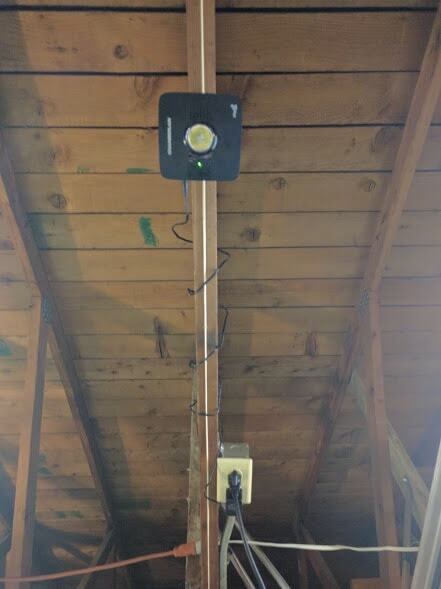 MyQ Garage is installed by attaching the Wifi Hub, door sensor, mounting bracket and power cord near your existing garage door opener and then plug it in. Installation takes around 30-45 minutes. The instructions are easy to read and after installation, you simply download the app to your smartphone or tablet with operating iOS or Android. My family members all have iPhones and once we set up the account, we were able to put away our old individual remotes. None of us are ever without our smartphones, how about you? MyQ app integrates through other smart home products and services such as Nest Cam, Nest Thermostat, Xfinity Home and the Wink app to seamlessly integrate with your existing smart home systems. Separately, MyQ Lighting allows you to tune in to who is around the house or turn lights on and off when you are away from home. Your smart home just got a whole lot smarter! 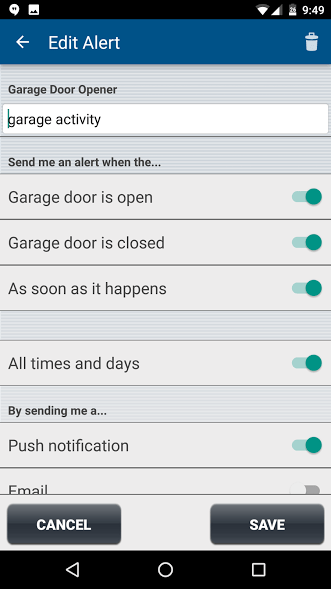 Additionally, the app allows you to perform other useful functions such as setting up alerts via email for the door operation, it details how long the door has been opened or closed, and you can enable push notifications. Plus you can tell who is already at home. And if you are working inside the garage and an unknowing family member decides to open or close the door, there is an audible warning signal before door operation—a great safety feature. 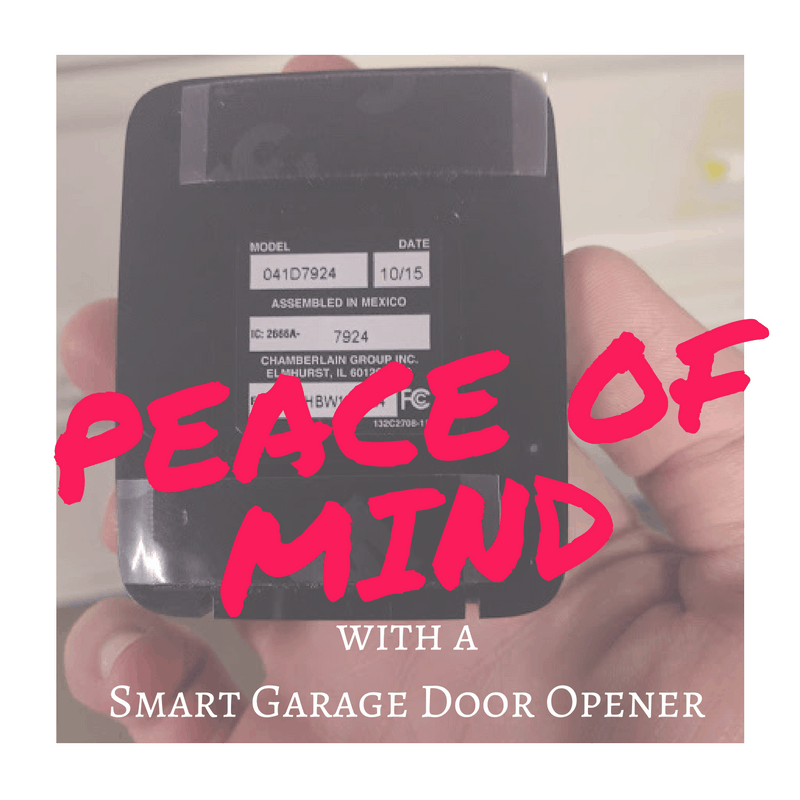 Easily Install a Smartphone Garage Door Opener for Peace of Mind. I love this device! To Learn More or to purchase at the limited time price CLICK HERE. You can find it at Amazon, Home Depot, and Menards. Follow along on social media on Twitter and Facebook. This is a sponsored post written by me on behalf of Chamberlain for IZEA. All opinions are 100% my own. This is such a cool concept! 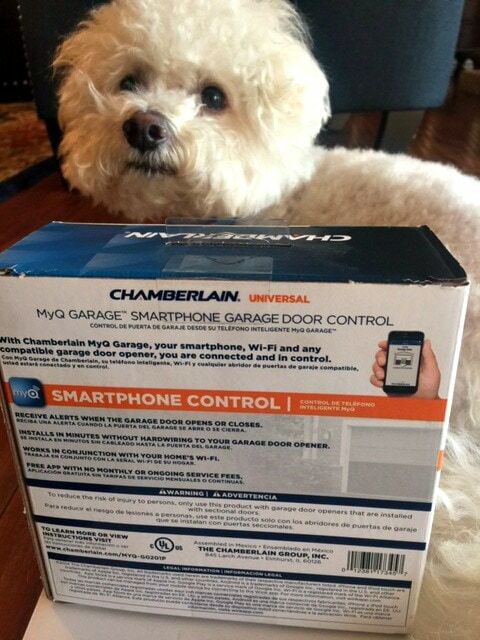 I have never heard of a garage door controlled by a smart phone! I would love this!! So many times my kids have left the door open! This would be a great way to check! That is so great! Gone are the days of having to worry about keeping up with an extra gadget in the car. We don’t have a garage, so I have no idea what it would take to set this up. You make it look really easy to install and use. This would make my husbands day! Seriously, one of the older kids is always leaving the garage door open and this might just be the answer we’ve been looking for. 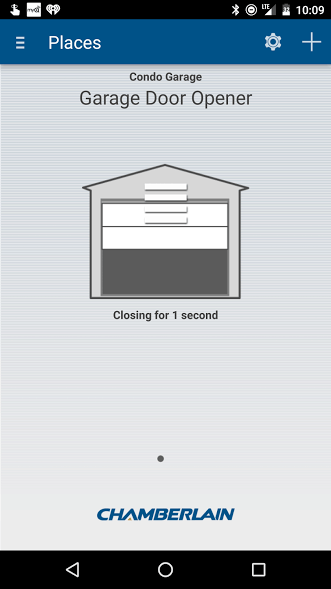 We have a garage door opener app on our phone and it’s awesome! This sounds like it works great too! Thanks for sharing. Sounds like a great product. I could really use one of these. I just moved, and we actually have two garages, so this would be great. My Dad has this and he loves it. He never has to worry if he forgot to close the garage door. It would make a fantastic gift for the holidays. Sounds like a lovely idea, we will try this product soon. It would be so nice to have it installed. Whaaa? I need this! Our garage door is a little funky and we’re thinking of getting a new system, this would be great! We misplaced my husband’s remote when he got a new car that had a garage door opener built into the rearview mirror. Then we traded it a few months ago and had to buy a new one. This option would have saved us money. Very useful. I just programmed the built in openers in our cars so we don’t have to keep track of the opener, but being able to open for a friend or who ever is next level handy. I think you gave me the perfect idea for a Christmas gift for hubby! I need one of these! It would be a useful gadget for me and my husband. Will definitely check it out. This seems neat. I’m too paranoid of hacks and things to actually get into the smart home items. And not to mention that my battery dies too much. LOL! I just love this smart home stuff!